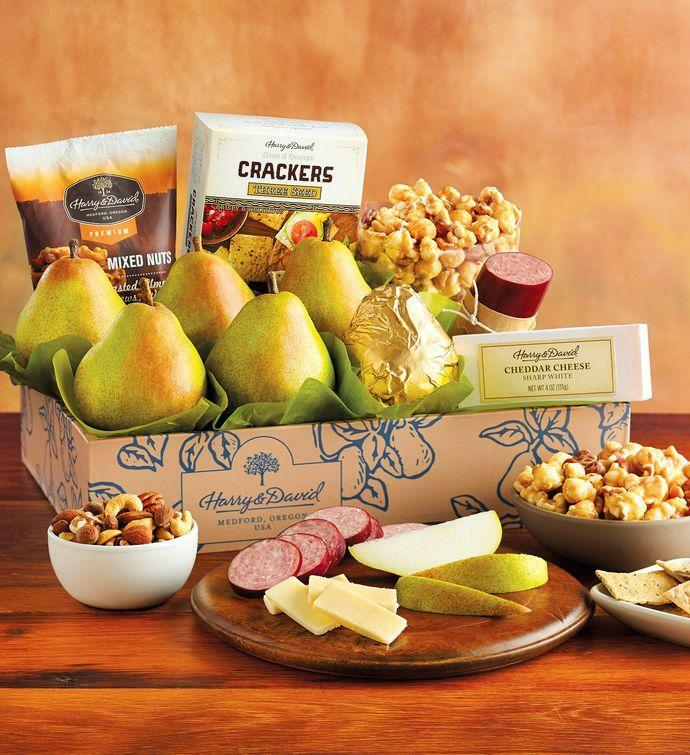 Shop for care packages to send to your Fort Lewis College student for finals, birthdays and holidays; they can be delivered directly to your student’s dorm or apartment. Find the best college care packages to send your son or daughter for birthdays, or just to cheer them up! 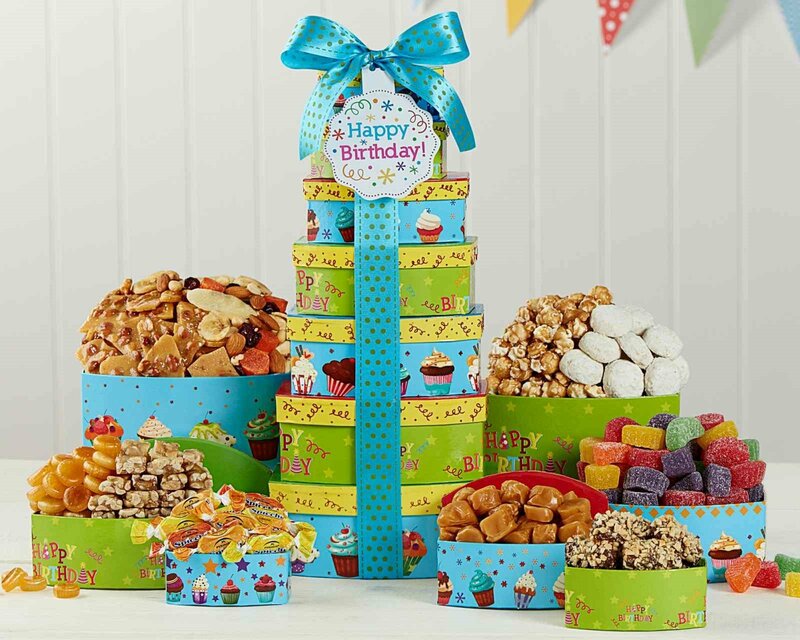 This large birthday tower is loaded with festive surprises, including: caramel corn, fancy mixed nuts, vanilla caramels, almond and cashew roca, fruit jelly candy, peanut brittle bark and more. Send your son or daughter a birthday cake! Our gourmet delights are delivered right to campus – guaranteed on time! 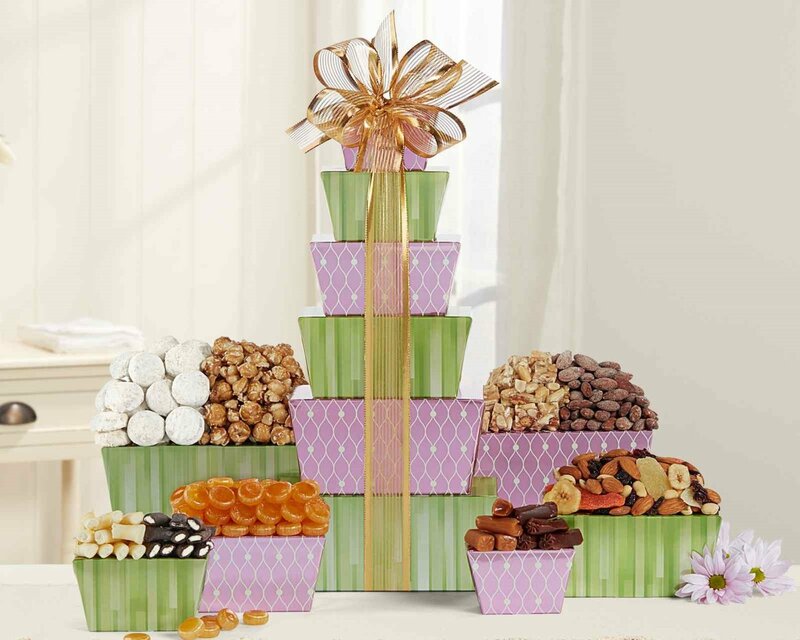 Each gourmet birthday cake delivery includes a greeting card and arrives packaged in an elegant gift box. 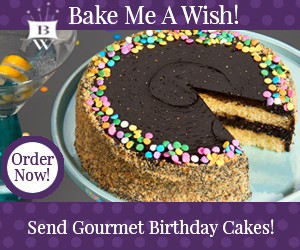 Save 10% on Gourmet Bakery Gifts from Bake Me A Wish! There is no better way to honor their birthday than by sending a delicious birthday cake. Students get enough junk food on campus. Healthy bodies make for healthy minds and high energy, so build your son or daughter a healthy snack care package you know they’ll love. Click here to send a healthy college care package!